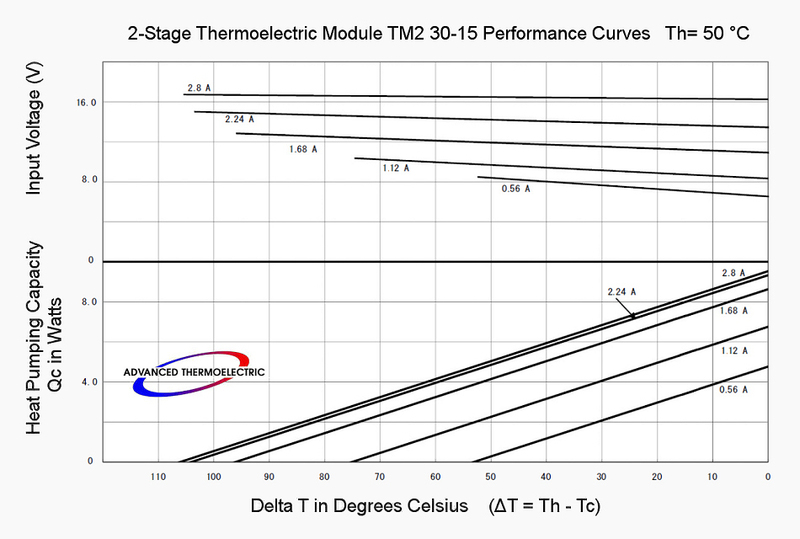 TM2 30-15-2.8 is a two-stage cascade style thermoelectric cooler with a ∆Tmax of 95 °C (105 °C with Th of 50 °C). 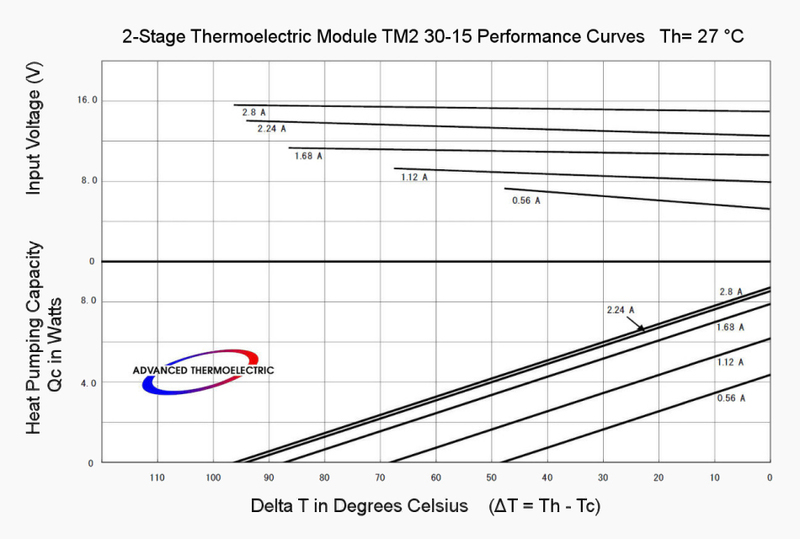 That's up to 25 °C more ∆T than is possible with a single-stage module. 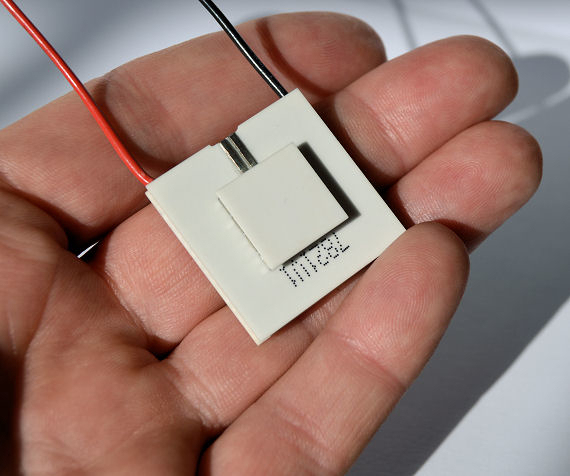 A larger ∆Tmax is desirable for cooling some sensors, detectors and devices that work best at temperatures lower than is possible with a single stage module. 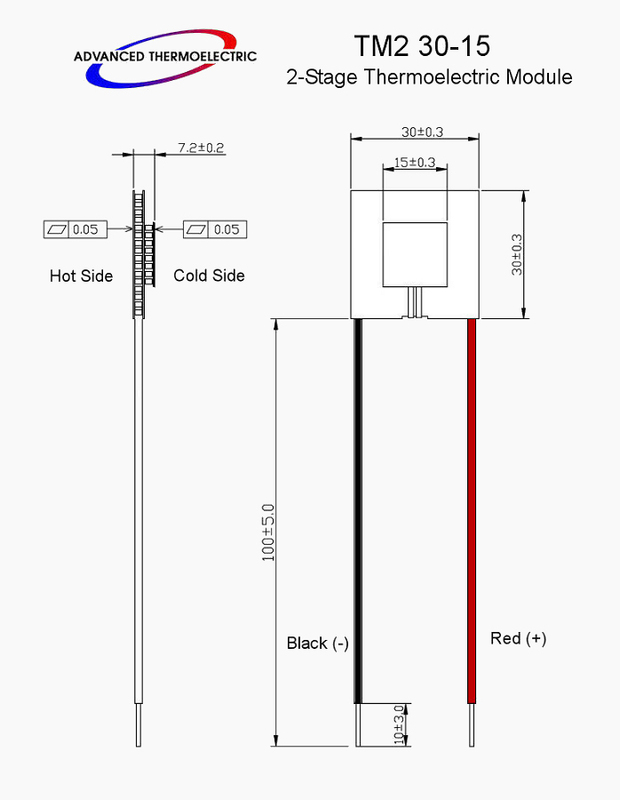 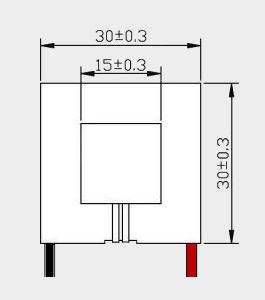 The 15x15mm cold-side will accommodate many of these devices, and others, while the 30x30mm hot-side provides a substantial surface area for heat-sinking. 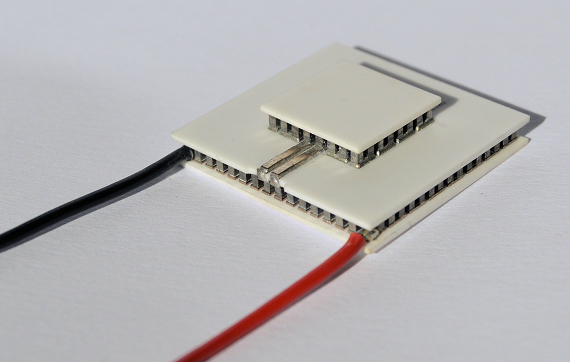 Typically powered by 12 or 15 volt DC power sources. 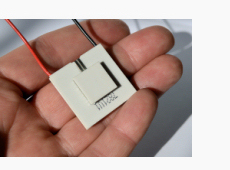 In electro-optic and photonic applications, TM2 30-15-2.8 is commonly used to maintain a cold, and constant, temperature in order to stabilize the wavelength detector or sensor.